Dimensions 0.50 by 10.50 by 10.50 in. Amazon.com description: Product Description: The second picture book in Academy Award winner William Joyceâs The Guardians of Childhood series, The Sandman tells the true story of the keeper of dreams. This follow-up to the New York Times bestselling The Man in the Moon, called âdazzlingly inventiveâ by Publishers Weekly, introduces us to the sleepy little fellow to whom we all owe many a good nightsâ rest, the second Guardian of Childhood, the Sandman. 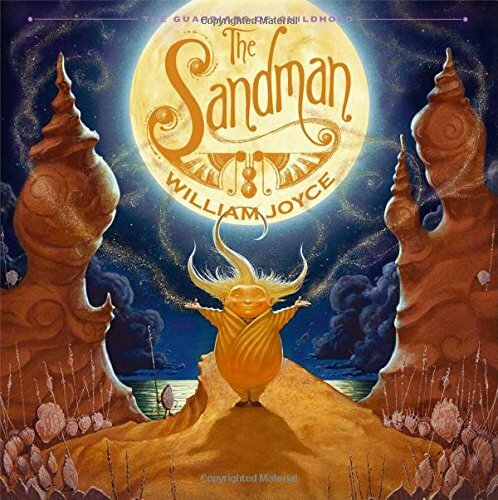 About: The second picture book in Academy Award winner William Joyce’s The Guardians of Childhood series, The Sandman tells the true story of the keeper of dreams.